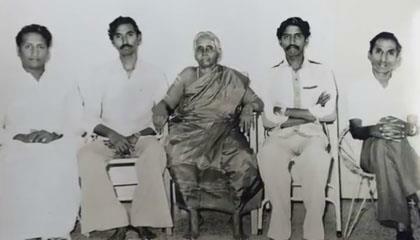 Dr. Selvaganapathy, well known across the globe as a senior Saivite Tamil scholar was born on the 8th of September 1940 at Kattur, near Thiruvarur as the second son of Shri.Rajagopala Pillai and Smt.Parvathy Aachi. 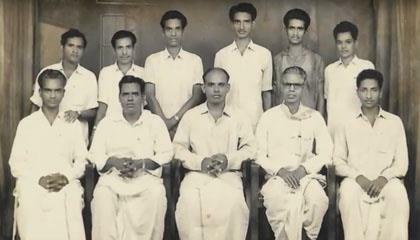 Having acquired the title of Vidwan from the Dharmapuram Aadhinam College during 1961-65, he was awarded a cash prize of one thousand rupees, as the George V Memorial prize instituted by the Kasi Mutt for his securing the first rank in the Tamil Vidwan examination of the Madras University in 1965. 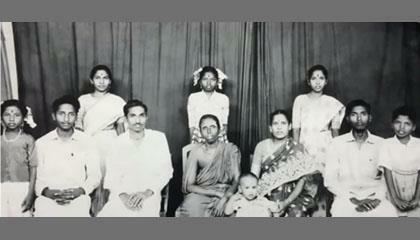 His contribution to Tamil literature includes his service as a Tamil teacher at the National Middle School, Nagapattinam, Lecturer at the Manali Tamil College, Chennai between 1967-70, and as Tamil Professor and Principal at the Dharmapuram Aadhinam Arts College. 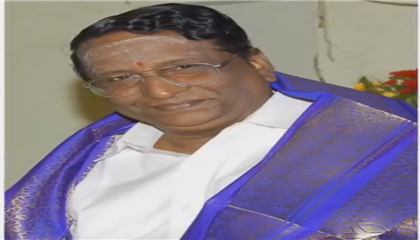 He served under the tutelage of C. Arunai Vadivelu Mudaliar, Professor V. Gurusamy Desikar and S. Singaravelan and equipped himself with the voluminous knowledge on Saiva Siddhanta, Thirumurais - the devotional hymns of Saivism and a wide range of Tamil literary works. 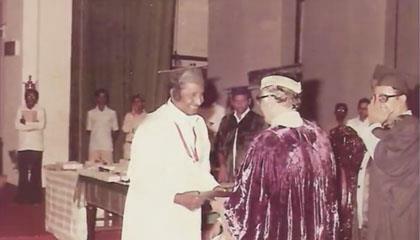 Having pursued Saiva Siddhanta as a special branch of study in M.A (Tamil) apart from acquiring the B.Ed degree, he imparted the tenets of Saiva Siddhanta for the under graduate and post graduate students over a span of 25 years and was instrumental in the Thirumurai and Saiva Siddhanta publications of the Dharmapuram Aadhinam between 1970 and 1995. 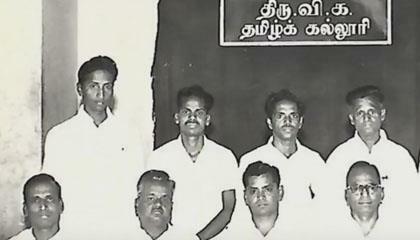 His thesis for the doctorate degree titled, "Dharmapuram Aadhinam and Tamil", throws light for the first time on the social reasons for the emergence of Saivaite Mutts led by Non-Brahmins and was widely welcomed by research scholars. He has made his mark in 18 universities world over, with an academic experience of 31 years to his credit. His lectures on Saiva Siddhantaare being heard in 80 countries, across the globe. Apart from this he has also authored 14 invaluable books. Endowment lectures delivered by Dr. Selvaganapathy at the Madras, Annamalai, Madurai Kamarajar and Karaikudi Alagappa Universities have been published as books. His book titled "Tamil Valarkum Dharmapuram" published by the Aadinam was distributed to international scholars during the 2nd World Tamil Conference at Madurai. His detailed commentary on "MuktiNichayam", a work by Gurugnana Sambandar, and the treatise of VelliambalaThambiram negated the Aatmananda Vadam. 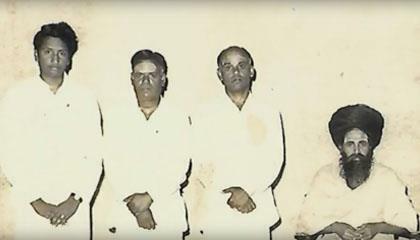 His research work on Peerasaadha Yogam revealed the same as an exclusive Yogic tradition of the Aadhinam. He was also showered with many awards. 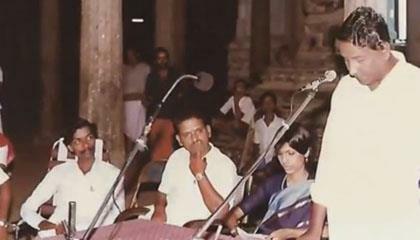 To mention a few, - "Senthamil Vaarithi" by the Jaffna Nallai Thirugnanasambandhar Aadhinam in recognition of his excellence in the field of Saivite hymns and Shastras in 1982, Thamizhaagarar by the Kunrakudi Thiruvannamalai Aadhinam, Sezhunchol Vithakar by the Thiruvaavaduthurai Aadhinam, Arularuvi and Sivagnana Kalanidhi by the London Temple Trust, apart from Saivasenkathir by the Chennai Saiva Siddhanta Mahasamajam in 1968. 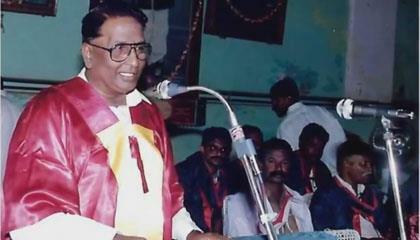 The Tamilnadu Government bestowed Dr. Selvaganapathy with the Kalaimamani Award in the new category of Speaker on Saivism, and a cash prize of One Lakh rupees, was awarded by Raja Sir Annamalai Chettiar trust for his scholarly work in Tamil, along with ten other awards instituted by various organizations including the M A Chidambaram Chettiar memorial Award in 2006. Going with the times, Dr. Selvaganapathy has presented a translation of the Life and Message of the 63 Saints of the Saivite Tradition of Periyapuranam on the website, well complemented by multi - coloured photographs, which can be accessed on www.nayanmar.com. He has also released 40 CDs and MP3 format presentations running to 52 hours of lectures on the Life and Message of 63 Saints of the Saivite tradition with an English introduction. Saivaites in 40 countries across the world have had the opportunity of listening to his 20 hours of lectures on the Thirumandiram, 10 hours of lectures on the Thirusadhagam - the essence of Thiruvasagam, lectures on the Kolarupathigam of Thirugnanasambandar along with the rendition of the Thirumurais. 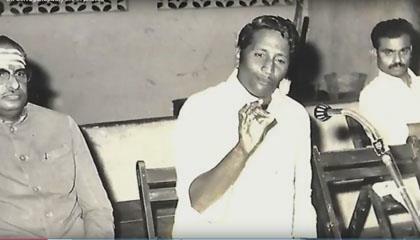 Dr. Selvaganapathy was also involved in the production of the programme "Aalaya Dharisanam" in all aspects of feature production, including shooting, research, script, voicing and presentation for the Chennai Kendra of Doordarshan India. It is noteworthy that more than 100 temples have been covered and presented in this series in the past 5 years. He had also provided live commentary for a number of temple festivals like the Karthigai Deepam at Thiruvannamalai, Soorasamhaaram at Tiruchendur and the Mahamakam at Kumbakonam. For the past 6 years, Doordarshan has been telecasting "Arulae Anandame" with a detailed explanation of the Saivite hymns by Dr. Selvaganapathy along with the rendition by temple musicians well known as Ooduvars. 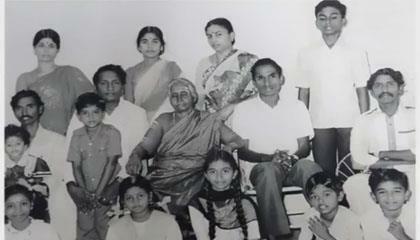 This programme is well received by Saivaite Tamils in 80 countries across the globe. 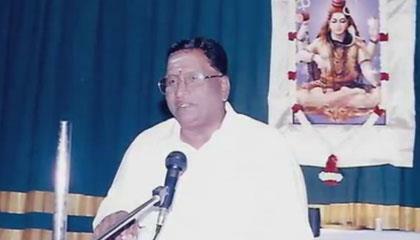 Dr. Selvaganapathy has published books on the Life and Message of Saivite mystics like Goraka Siddhar and Kaagabusunder. A number of editions of his historical research works on Mariamman worship and Kolanjiappar have been published. 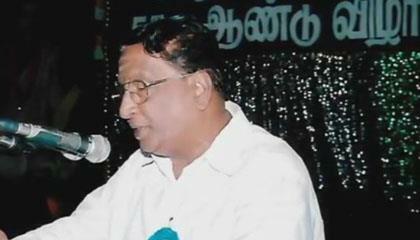 His lecture on "Kambanil Penniyam", organized by the AVM Memorial Trust has been published by Vaanathi Pathipagam. His compilation of the 365 Saivaite hymns for daily rendition has undergone 10 editions. 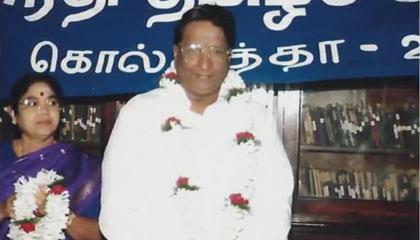 His e- book on Saivism and Tamil for the online university has been acclaimed as one of the greatest of introductions on the subject, by reputed scholars. The voluminous task which should have been taken up by concerned Mutts and Universities has been accomplished by Dr. Selvaganapathy under 24000 headings in the encyclopaedia. It was made less tough with 40 years of his association with Saiva Siddhantha, apart from training and research in this Field. His long association and rapport with Saivite Mutts and scholars was a great source of strength in compiling the encyclopaedia. The Encyclopaedia has been structured to match with world standards, of publishing with more than 3000 colour photos and a multi colour presentation in A4 paper of excellent quality. Each volume comprises of 650 to 895 pages based on the requirement of the topic. The ten volumes along with the introduction is spread over 7200 pages. More than 1500 graphics have been used to register the much valued messages of Saivism. Each volume comprises the foreword, felicitation, introduction, editor's introduction, details of the editorial team, contents, topics and appendix.